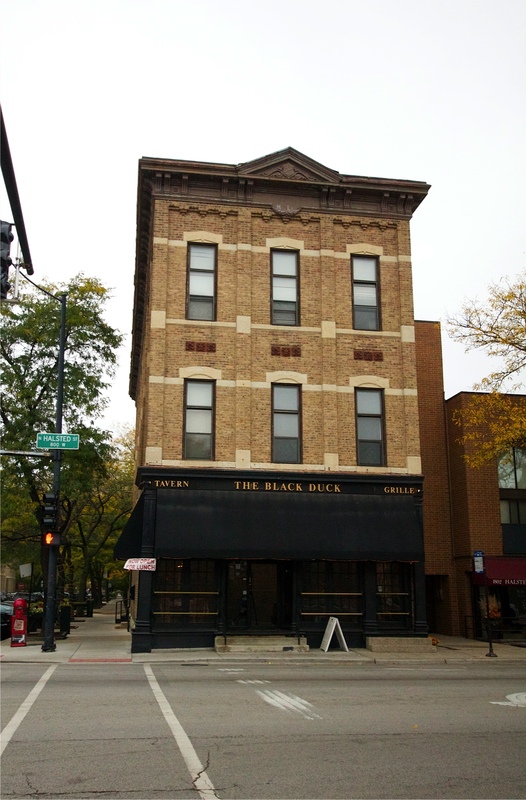 CHICAGO — Preservationists weighed in on the proposed demolition of an architecturally significant building in Lincoln Park Thursday, asking city officials and developers not to tear it down. In a letter, Landmarks Illinois urged to 43rd Ward Ald. Michele Smith to halt the tear-down of 1800 N. Halsted St. as part of a mixed-use development project planned around the intersection of Halsted and Willow streets. The architect of the three-story brick building is unknown. Still, DiChiera said the building is a strong example of Chicago’s 19th century vernacular architecture. The building is cited in Chicago’s Historic Resources Survey, which tracks architecturally significant buildings constructed prior to 1939. Buildings coded “red” have what DiChiera called “a high level of architecture integrity.” 1800 N. Halsted St. is coded “orange,” the second highest rating. After permits are filed, buildings coded red and orange automatically trigger a 90-day wait period before demolition can begin. The demolition of 1800 N. Halsted St. would make way for a new mixed-use multi-story residential building on the site, as well as new retail along Halsted Street and new town homes along Willow Street, according to information posted on the 43rd Ward’s website. The project was proposed by Chicago-based real estate company Golub & Co., which is best-known for developing and managing high-end high rises like 22 W. Washington St.
Golub purchased 1800 N. Halsted St. and 10 other buildings along the 1700 and 1800 blocks of Dayton and Halsted streets in March of 2012. The company’s head of development initiatives did not return calls for comment Friday. Deirdre Graziano sits on the zoning committee of the Lincoln Central Association and serves as the community group’s vice president. She has lived and owned property in Lincoln Park since 1968, and said Friday that the neighborhood has lost many orange-rated historic buildings during her time there. Some Lincoln Park residents have expressed concern that projects like the one proposed at Halsted and Willow would alter the neighborhood’s character. These residents fear new development that replaces older brick buildings with the kind of large commercial buildings that line the busy retail corridor along North and Clybourn avenues. Landmarks Illinois’ DiChiera said it might be possible to extend the boundaries of the nearby Sheffield Historic District, which is listed on the National Register of HIstoric Places, to include 1800 N. Halsted St. If such an extension were possible, Golub could be eligible for federal tax incentives meant to encourage the adaptive reuse of historic buildings. Such tax credits, DiChiera said, could make it more financially feasible for the developer to keep the building in place. “All of these options should be studied,” DiChiera said. Follow Robin on Twitter @rsamer.